Santa Monica Seafood started on the Santa Monica Pier selling the freshest seafood both to restaurants and customers who visited the pier. We may have moved more than once but we still offer our customers great seafood from each of our two Southern California retail locations. Customers can shop in person at our stores, order to dine-in or for take-out, have prepared seafood dishes delivered to their home or office, and place online orders for party platters. You’ll find our current market and café experience a far cry from the old wooden Santa Monica Pier but our commitment to selling the freshest seafood anywhere has never changed. We take a great deal of pride in our Markets, Cafes and Oyster Bars. If you are in the vicinity of Santa Monica or Costa Mesa, California, please stop in to experience the freshest seafood available anywhere. 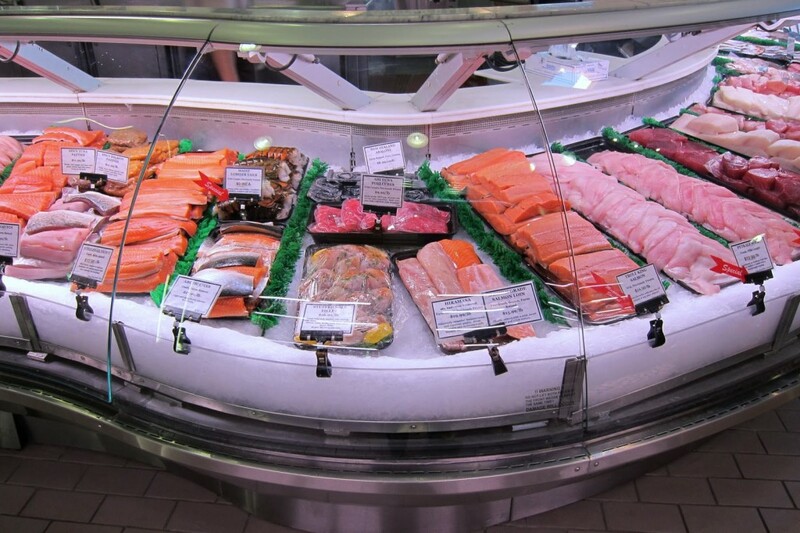 Our stores feature the largest selections of fresh fish, live shellfish, and frozen seafood in the Southwest. We also offer an excellent selection of wines, beers, cheeses, breads and any other items you might need to prepare a delicious seafood meal. Each store features a café offering a variety of hot and cold seafood dishes for both dine-in or take-out, an extensive catering menu, and occasional cooking demonstrations. You can also get seafood advice from our Seafood Experts behind the counter. Santa Monica Seafood is the place to fill all your seafood needs. Get Special Offers Every Week! Every week we offer a variety of seafood items at a special price. 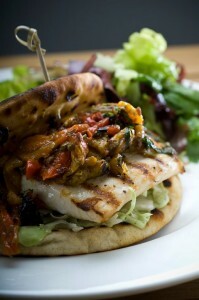 We also include specials on our home made deli selection and select wines, as well as weekly offers. Every week there is something new so sign up now. 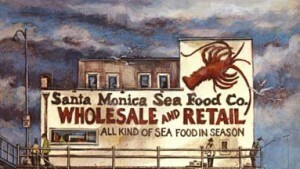 Santa Monica Seafood was officially founded in 1939 but the real story began in 1898. That year a young man chose the life of a fisherman in California. John Deluca had only recently left his home in Naples, Italy when he put his roots down in the port city of San Pedro. Needing a way to support his growing family he looked to the sea. His hard work and respect for the ocean rubbed off on his family and before long his oldest son Jack was tagging along. Those days on the dock laid the groundwork for a family tradition that has lasted four generations. From the age of nine, Jack was at the docks pulling lines, scaling and gutting fish, and filleting the fish – all the elements of bringing seafood to market. By the age of 16 he was the proud owner of his own fishing vessel and at the tender age of 21 he was the co-owner of his own wholesale company, State Fish Company. Alongside his close friend and future brother-in-law, Gerald Cigliano, Jack built State Fish Company into a formidable presence in the wholesale seafood business in the Los Angeles area. 10 years later, Jack and his younger brother, Frank, joined together to embark on what would become their life’s work. In 1939, the two brothers set up shop at the end of the Santa Monica Pier selling fresh fish to restaurants and tourists alike under the company banner of Santa Monica Seafood. For the next 42 years Jack and Frank worked to build Santa Monica Seafood into one of the top distributors of seafood in Southern California. They went from selling the catch of the day to hungry tourists on the Santa Monica Pier to selling fresh and frozen fish to the top restaurants in Los Angeles and Orange County. Around that same time Gerald Cigliano had passed the State Fish Company on to his eldest son Anthony who, in turn, was getting help from his own seven children. In 1981 the families came together again when Anthony Cigliano and his children purchased the company from Uncles Jack and Frank. Over the next several years each of Anthony’s children joined the daily operations of Santa Monica Seafood as the company continued to expand. 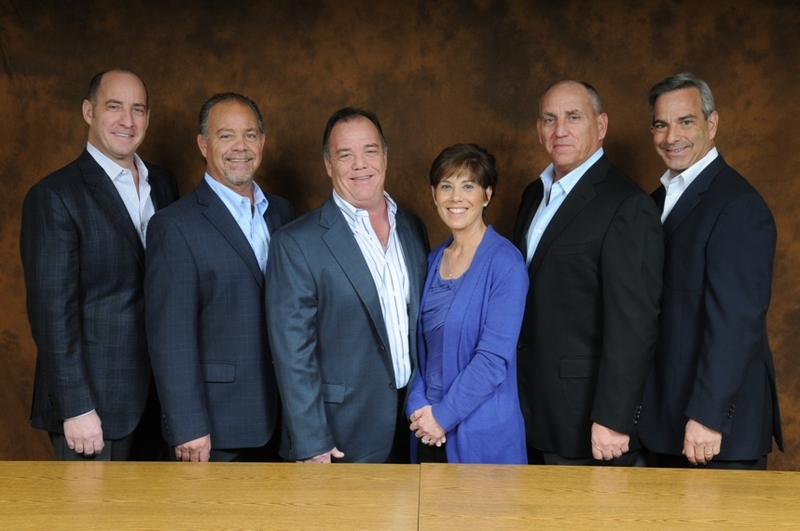 Left to right: Vince Cigliano, John Cigliano, Gennaro Cigliano, Marisa Neal (Cigliano), Anthony Cigliano, and Michael Cigliano. Jack Deluca founded Santa Monica Seafood with the philosophy, “Provide the highest quality product at a fair and reasonable price.” Today the family continues that tradition with a new purpose. The philosophy of providing the highest quality product now demands ethical and sustainable sourcing of fish, active involvement in improving fisheries and aquaculture and education of both customers and the public at large.